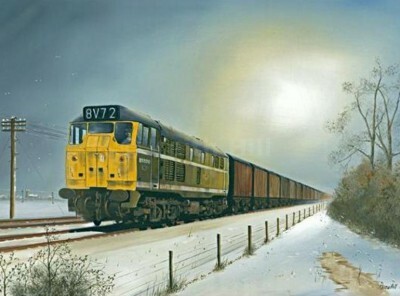 In freezing conditions a Type 3 diesel hauls a freight train across the fens of East Anglia. 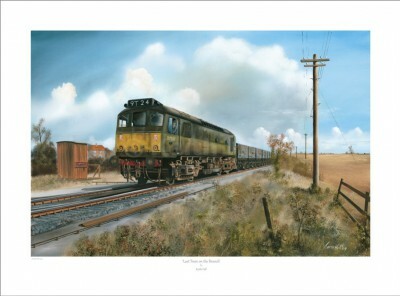 On November 1st 1969 the last revenue-earning train worked the branch line from Wellingborough, via Rushden, to Higham Ferrers to collect the very last load of ‘iron concentrate’. The locomotive was a Class 25, D7502. The two railway men who countersign were among the last to work the branch. 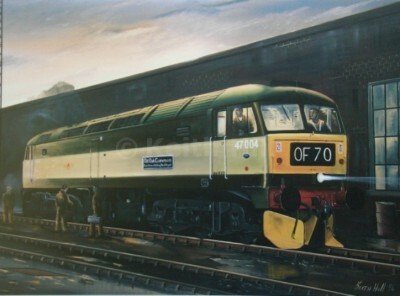 A Class 47 diesel locomotive on Old Oak Common.